A summer of fresh vegetables. Attended our winter veggie patch workshop? Then you’ll be keen to know what to plant now that it’s coming up to a Perth summer. 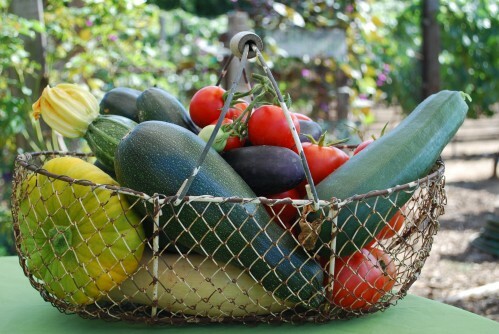 Come along to our second last workshop for 2015 and learn tips for veggie success. The workshop will be run by members of Glen Forrest Community Garden, meeting since 2008 to offer everyone the opportunity to grow whatever they like in a fun, permaculture inspired way. You may even join the Community Gardeners every Sunday morning after our visit! RSVP: Please RSVP via Eventbrite so we can have an idea of how many people to expect. Cost: Workshop entry by donation as always. Venue: Glen Forrest Community Garden. Corner of Hardey Road and Glen Forrest Drive, Glen Forrest. This entry was posted in Food, Gardening, Kitchen Gardeners and tagged Community Garden, DIY gardening, Garden, Gardening, Growing food, guildford, Kitchen Gardeners, sustainable food production, Veggies. Bookmark the permalink.